The paper presents a method to manage critical interactions to manage when introducing agile software development in mass-produced embedded systems. The method consists of a context model together with a set of measures, and is validated by empirical evidence from three cases. 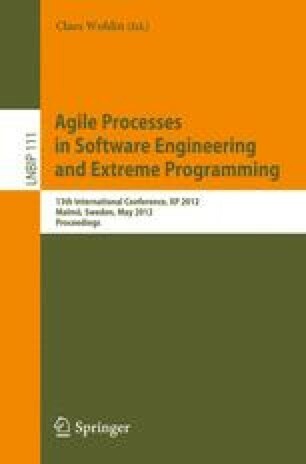 From an industrial perspective, the paper provides a prescription on how to implement agile software development outside the typical domains for agile, in this case for mass-produced products with embedded software governed by a stage-gate process for mechanics and hardware. From a research perspective, the paper provides an analysis of the software development cycle for products with embedded software, especially where product development as a whole is driven by a plan-driven process. The main contribution is a method for introducing agile in areas where by necessity the full R&D process cannot be agile.